How Can a Preventative Exam Test for Fleas in Your Dog? Parasite detection and prevention forms an integral part of your dog’s regular wellness appointments. This is because parasites can affect your animal at any time unless proper preventatives are provided. Your vet will be able to evaluate your dog’s exposure and environment so that a personalized protection program created specifically for your canine can be provided. This will ensure that your dog gets the coverage he needs at all times. One of the most important parasites that your dog needs to be protected from is fleas. Nearly everyone has heard of fleas, and a dog with fleas is something of a cliché. Nevertheless, these tiny, wingless parasites can be extremely debilitating for your pet, as well as having a devastating impact on your home. Here is what you need to know about fleas and why it is so crucial that your dog is protected from them busing vet flea treatment. Fleas are parasites, meaning that they survive by deriving their nutrition from the blood of their host. They may be microscopic, but they have the ability to jump on to passing dogs where they will burrow close to the skin and feed. Their saliva contains a toxin that can be highly irritating to most animals, causing them to scratch – the symptom that is most commonly associated with flea infestations. Some animals are even allergic to flea saliva, suffering from something known as flea allergy dermatitis. Fleas can also carry diseases including tapeworms – a secondary problem that could affect your darling dog. Two of the most challenging aspects of managing fleas are the rate at which they reproduce, and their resilience. Fleas have a very short reproductive cycle, enabling just a few fleas to turn into a huge infestation in just a few months. The larger the number of fleas on your dog, the worse the symptoms he is experiencing will become. He may also suffer from blood loss as a result of the population of parasites consuming his blood. The second biggest problem is the ability of fleas to survive without a host. This means that eggs and larvae can be deposited throughout your home, falling into cracks in floorboards, buried within deep pile carpet and under furniture. When these mature, you could see the infestation of fleas in your home continually growing. These parasites won’t only feast on your dog either. While he is a natural host for them, they will happily bite the humans in your home too, causing itchy, red welts to appear on their ankles and legs. If you are concerned that your dog may have a flea infestation, you should immediately contact our offices to discuss which vet flea treatments we can provide that will be successful in eradicating the parasites. We can also provide advice and support on the best ways to remove the fleas from your home. Only then can we recommend a flea preventative that will protect your dog in the future. 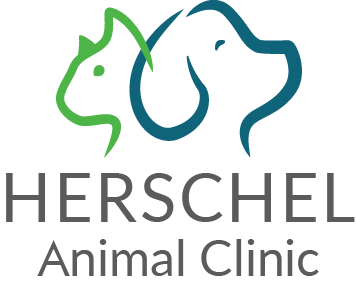 Based at our modern, comfortable dog hospital our veterinarians in Richmond, VA, have the training and experience that you need to keep your canine companion free from parasites including fleas. Please contact us at Betty Baugh’s Animal Clinic today at 804-331-2889 to schedule an appointment for your pet.